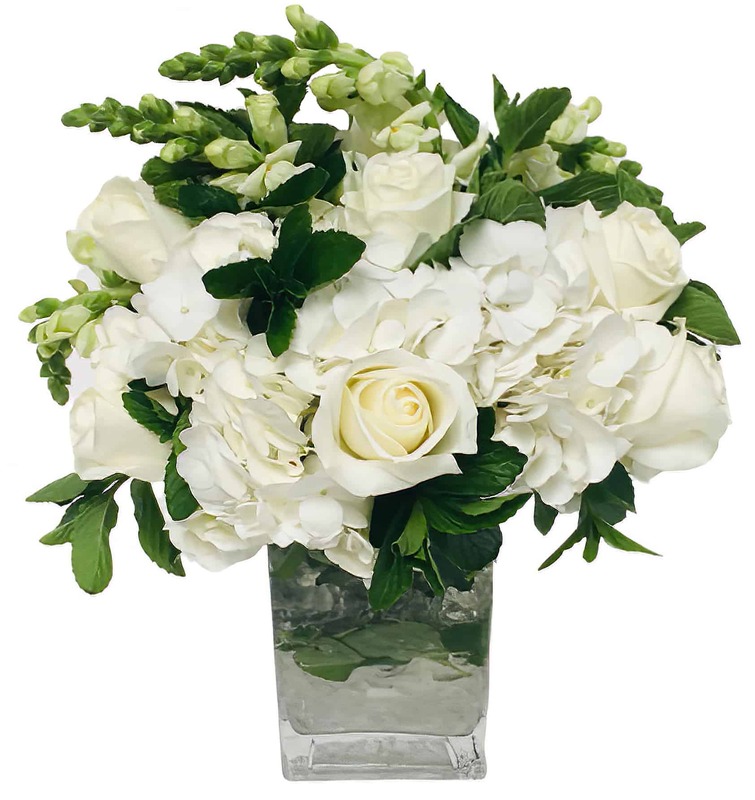 Enjoy the scents of this aromatic piece with fresh mint crushed in the vase and stalks of it in the arrangement complimenting the Jade Green Roses, White Hydrangea, White Snapdragons, and Green & White Parrot Tulips. Mix in some faux crushed ice and you have a true Mojito - floral style! So unique and different yet sure to go with anything! Use it to welcome a guest in your spare room, add a pleasant smell at your next party or simply to celebrate a momentous occasion!